But Ms. Jarrett told him nothing and the last-ditch lobbying fell flat. A few days later, on Nov. 10, Mr. Obama called for the "strongest possible rules" to make sure broadband providers treat all Web traffic equally—a change that would regulate Internet service like a public utility. The news took Comcast by surprise. The company believes the president’s strong "net-neutrality" proposal, if enacted, could threaten future investment in its fast-growing Internet business and cast doubt on the logic of its proposed $45 billion merger with Time Warner Cable Inc.—a deal currently being chewed over by antitrust regulators. Comcast boasts one of the biggest corporate lobbying operations in Washington, spending $17 million in 2014, second only to Google Inc. That presence is being tested now like never before. In addition to the threat of new Internet restrictions, Comcast is facing intense scrutiny from regulators on its merger. 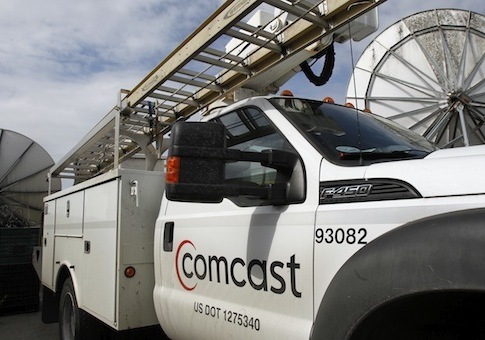 Federal regulators have raised concerns that the proposed merger could harm competition in the high-speed Internet market and enable Comcast to browbeat independent programmers and new online video services. However, that has not stopped the company from using its lobbying muscle to try and secure the deal. Comcast invited a senior antitrust official at the Justice Department to attend a Washington party last year for the Winter Olympics, but she declined due to agency rules. The company announced its proposed purchase of Time Warner Cable less than a month later—which must be approved by the Justice Department and the Federal Communications Commission (FCC). Sen. Cory Booker (D., N.J.) also admitted at a hearing last July that he had "Mr. Cohen’s cellphone number." On Dec. 15, Comcast’s CEO Mr. Roberts met with Tom Wheeler, the FCC chairman. The two are longtime acquaintances, dating back to Mr. Wheeler’s time running the cable industry’s trade association. Mr. Roberts lobbied for the merger, say people familiar with the meeting, but Mr. Wheeler was noncommittal.